Excellent handling in the road and light off-road use. Not only does the tire pattern lead to excellent handling and very good braking properties on dry road surfaces, but it also ensures short braking distances on wet road surfaces. Reduced noise emissions guarantee a high level of driving comfort. 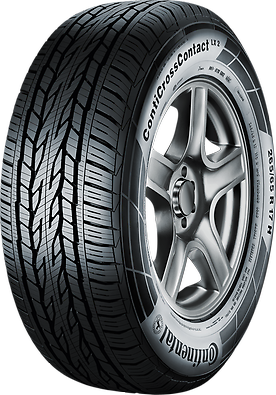 Additionally, the tire's contour distributes the pressure between the tire and road surface evenly, leading to high mileage. 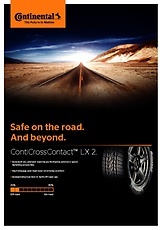 The tire's pattern creates outstanding traction in light off-road use.